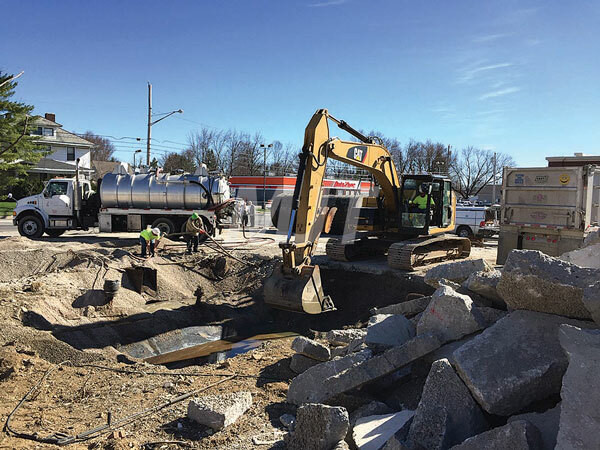 Work crews began removing the fuel storage tanks at the former Clark Gas Station on East Fifth Street this week. The Union County Landbank took ownership of the blighted property, which allowed it to apply for a state grant to remove the tanks. April Stevens, Environmental Specialist with Ohio Development Services Agency, said the project was part of the state’s $25 million abandoned gas station cleanup program. The program started three years ago and has granted $11.8 million to projects so far. The local grant was for $211,000. The State will monitor the soil for contamination so that the city can eventually install a planned small park. 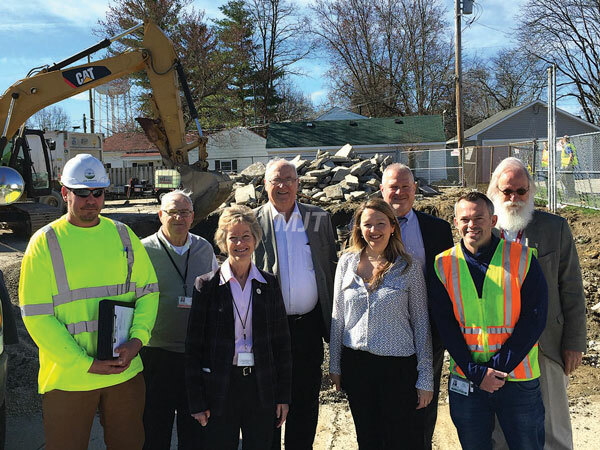 Pictured below are, from right to left, Jon Zanders of Stone Environmental, Union County Administrator Tim Hansley, Union County commissioners Chris Schmenk and Charles Hall, Stevens, Union County Treasurer Andrew Smarra, Marysville Public Service Director Mike Andrako, and county commissioner Steve Stolte.